I don't seem to find as much time for my blog as I used to. Hopefully now that I have help in the shop I can rectify this. At the moment I'm working hard trying to finish the final piece for our Minerva Textile Group exhibition that starts on 2nd September. Our theme is Great Expectations, and we have all been working on, or around Miss Haversham. We each plan to make a 3d item, a main piece and then we have a colour-based exercise which this year is positive and negative. I'd envisioned black and white but I think that one or two may have pushed the boundary a little! This is a snippet from my main piece, but it still needs a lot of work and will probably change by the time it is finished! 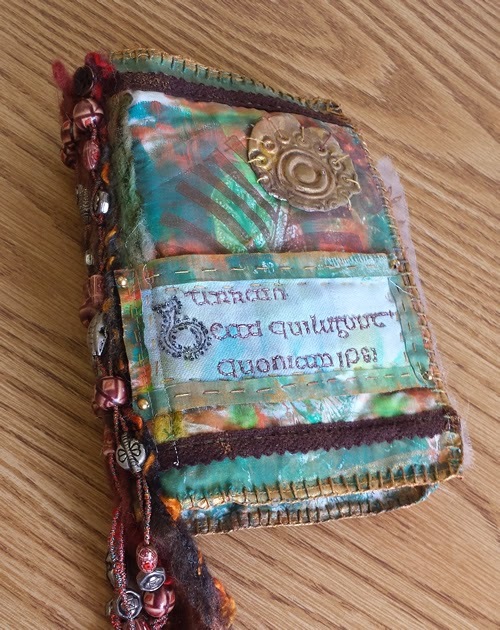 I realised that I never did get round to posting images of the finished book I started at the Beryl Taylor workshop I went to earlier in the year, so here goes! 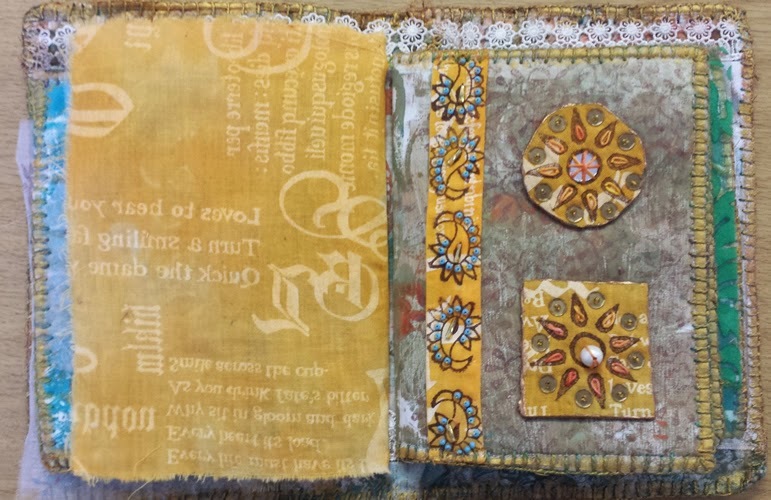 Throughout the book we used Colouricious wooden blocks (some of which I now have in the shop) to print in various ways on all sorts of media, from different types of fabric through to air-dry clay which was painted with Lumiere paint and enhanced with Craftynotions Gleam. This is the front cover. 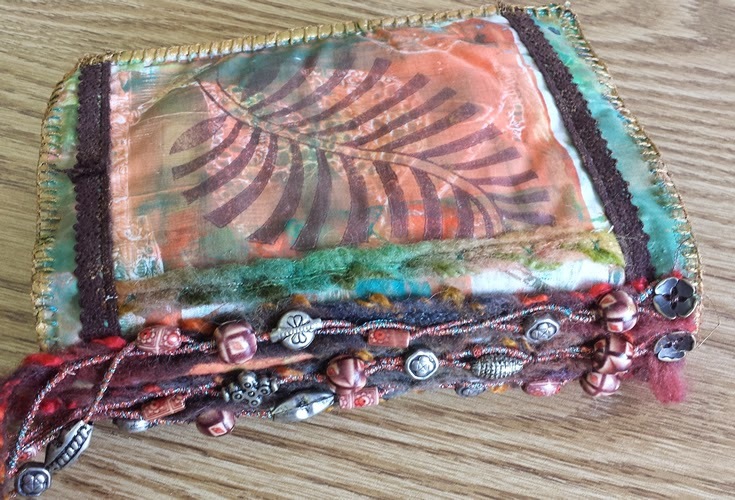 which I embellished with machine wrapped cord and beads as well as lace, a clay motif and hand stitching. 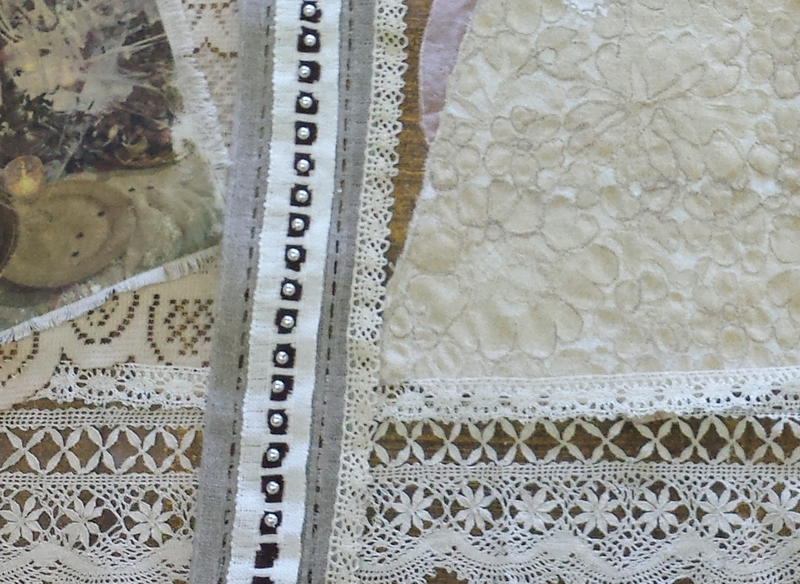 Hand stitching, beading, Tyvek, clay motif, buttons and lace. 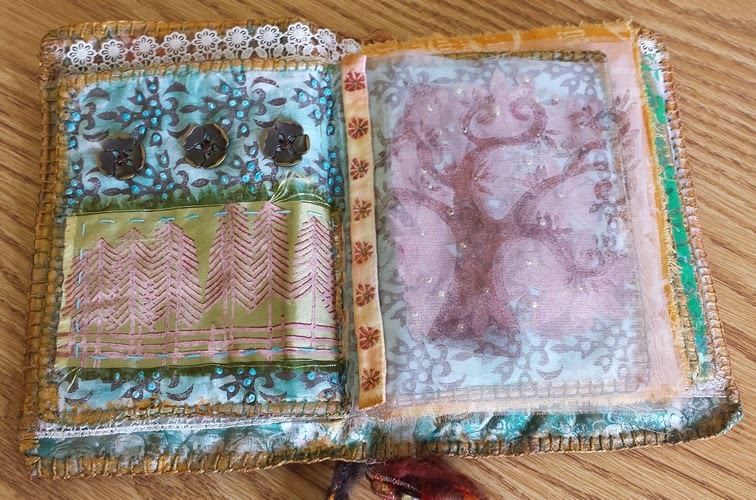 More buttons, beads, hand stitching and block printing on organza. 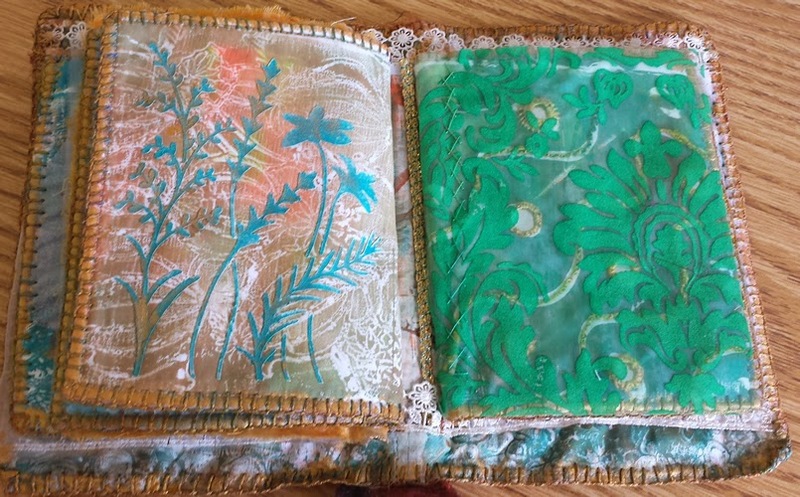 I liked this page of dyed print fabric, so didn't enhance this any further. 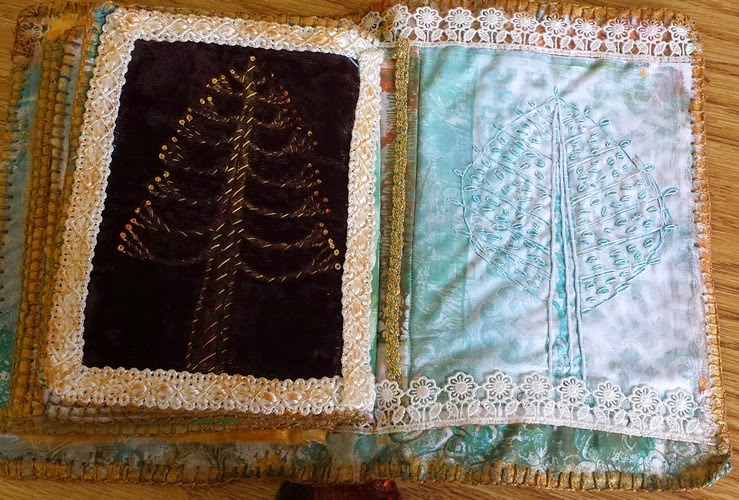 I also used it to make the medallions for the next page and embellished them with sequins, beads and hand stitch. 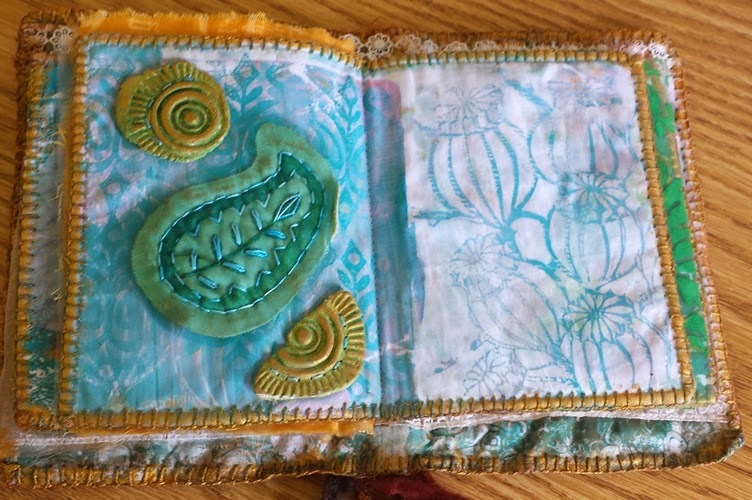 More clay medallions, with a stitched layered stamp. The poppy-head stencil I used for the next page was so pretty, I didn't think it needed enhancing any further. Moulding paste through a stencil, then painted. Dyed organza. My attempts at shisha, combined with couching. 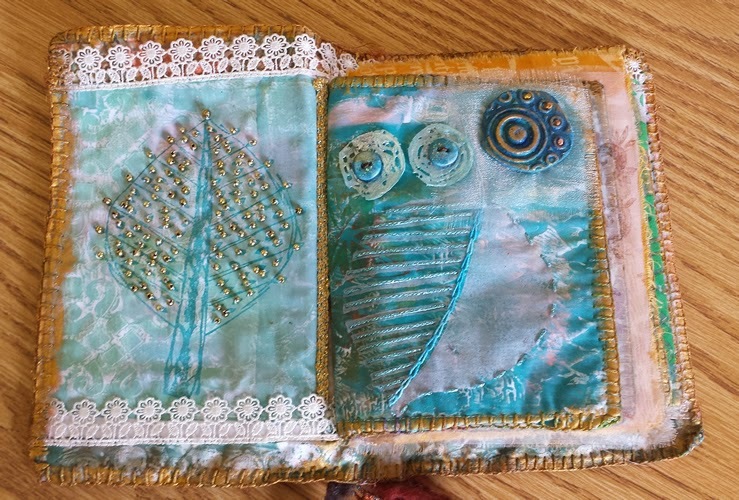 More lovely stamps, layered and combined with stitch and a clay medallion. The darker page is synthetic velvet ironed onto a printing block using a very hot iron, then hand stitched. 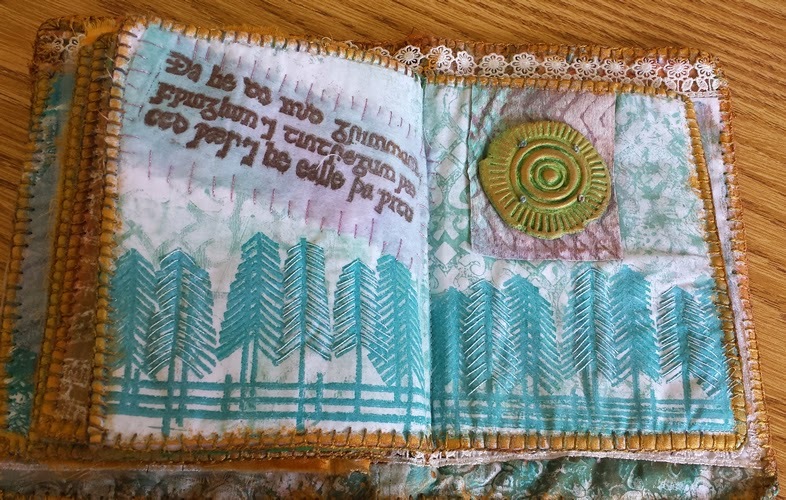 The lighter page was hand stitched. 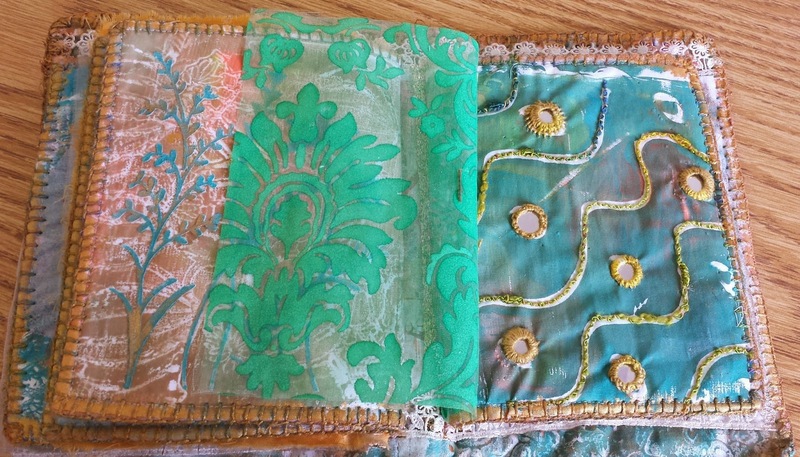 And this is the back cover, showing the beads and cording I added to the spine. 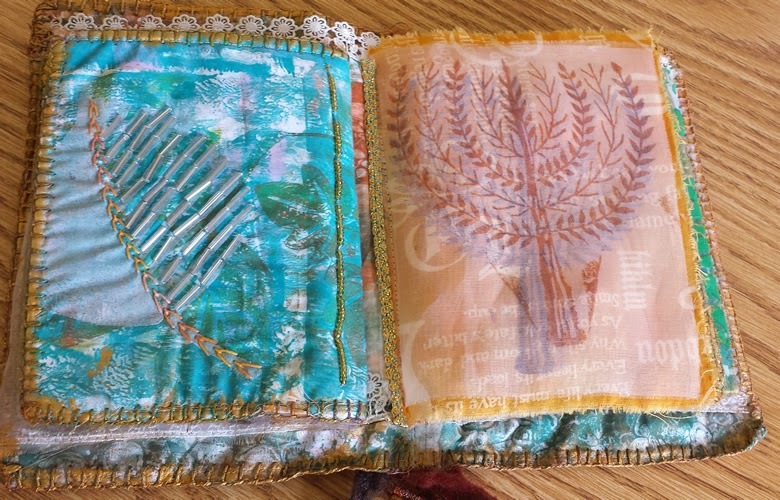 I really enjoyed making this book, and will be using it as a basis for some block printing workshops at Craft Arena. Anyone interested? The end of the challenge!